We know that life can get fairly monotonous after a while. Wake up, go to work and do the same thing over and over again, go home and sleep, repeat. You feel as if that’s how your life has been lately with no excitement and the same boring thing all over again every day. Travellers who are up for some new hot destinations should book a ticket to Bulgaria since this country is truly a hidden pearl. 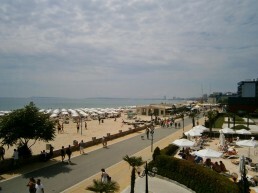 Located in the south-eastern part of Europe, Bulgaria is one of the fastest growing tourist markets on a global scale. They have everything – beautiful mountains with fantastic sky resorts and even more gorgeous coastline along the Black Sea with many great destinations. But the top of the top destinations is definitively the incredible Sunny Beach region which is soon to become a real tourist Mecca.